Got featured on RedBull.com! 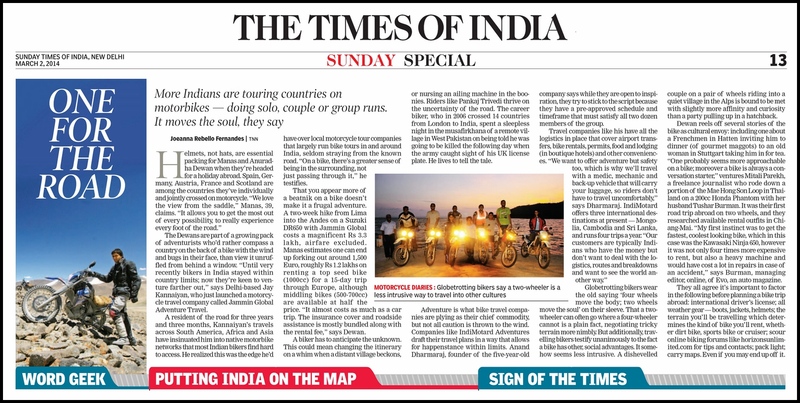 Hit the link to find out why I rode from the US to India, what it took and how you can get on the road. 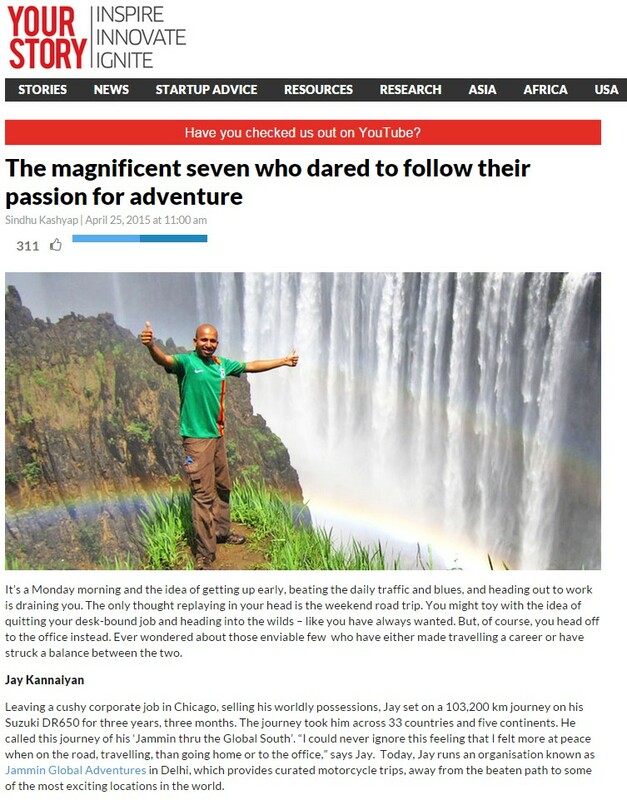 Got featured in an article on YourStory (all about entrepreneurs) about those of us who have made adventure travel our new careers 🙂 Thanks for the piece and cover shot, Sindhu! 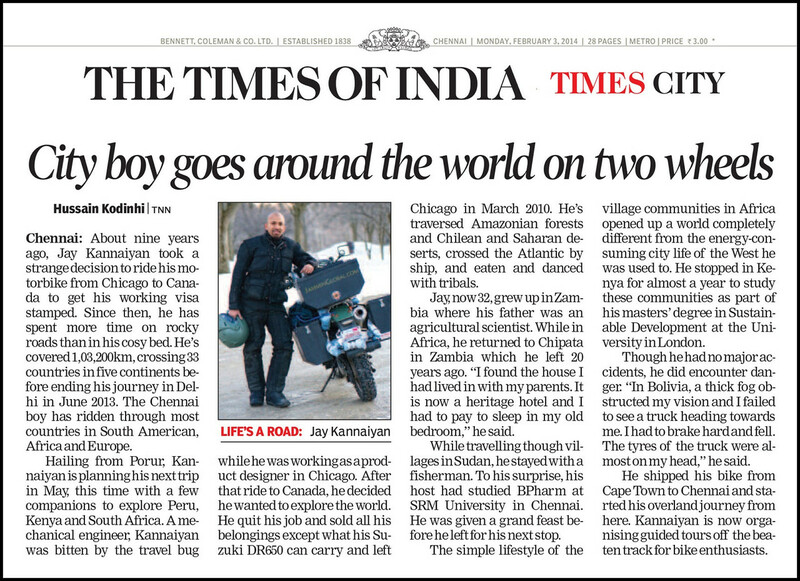 It was one year ago that I began the last leg of my journey, a 40 day, 8,000 km ride from Kanyakumari to Kargil called Jammin thru India. 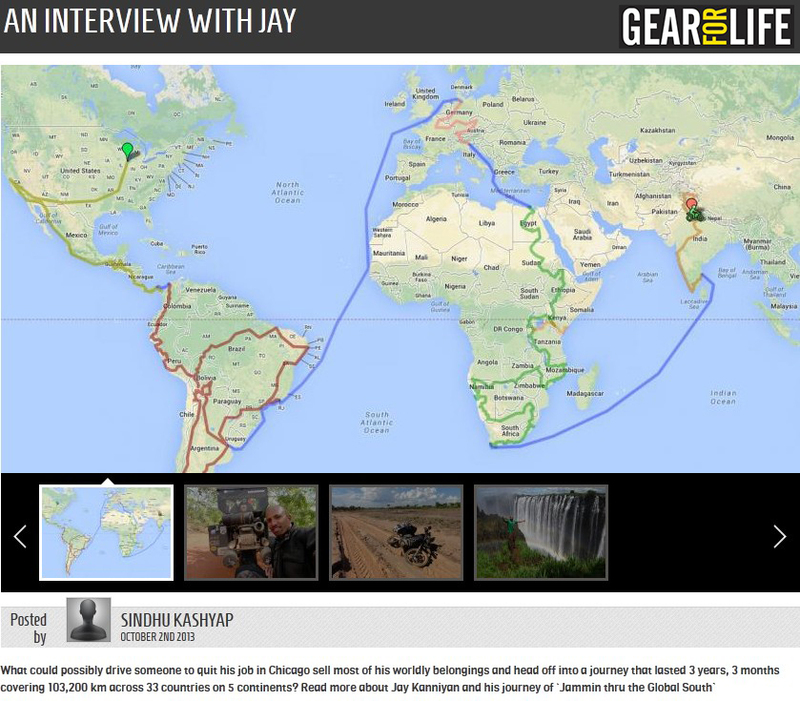 I live-blogged it for Yahoo India and head over if you’d like to see daily video clips and updates from the journey. My friend at Yahoo, Bijoy Venugopal, wrote this piece summing up my journey and on the joys of solo travel. Here’s an interview I did with Rediff.com, the oldest and one of the largest news portals in India. 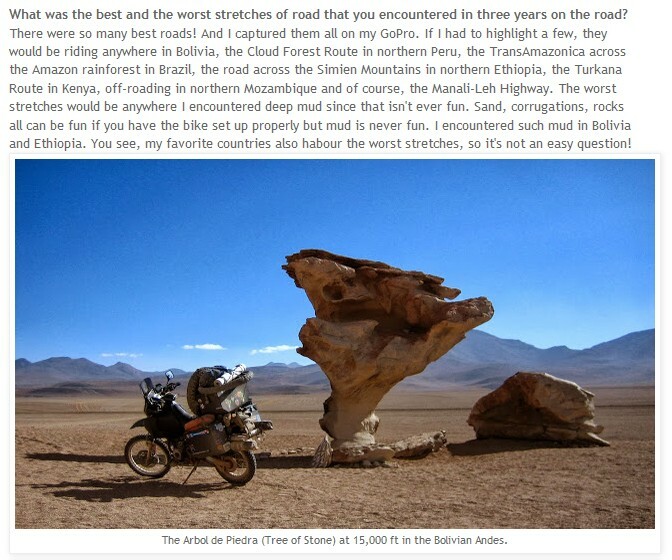 Gave this interview at India Bike Week and it mentions my first overland motorcycle trip, Chicago to Canada in 2005, and it ends with what I’m planning next… launching soon. Mint, a business newspaper in India (part of WSJ), compiled all the GoPro videos from my trip and recorded an interview with me about using the GoPro for capturing your adventures. Check it online! Click here for all the videos from the trip. 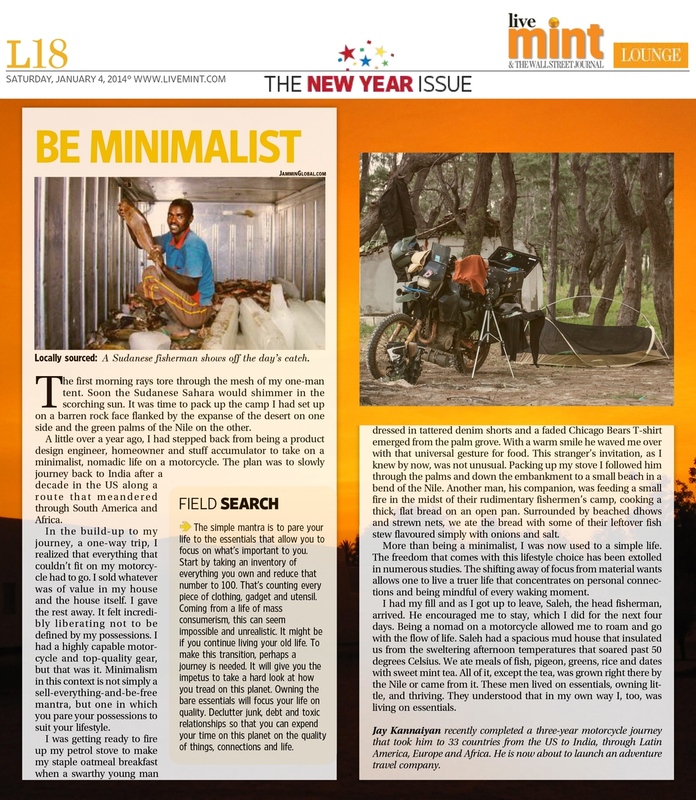 Trip Press: here’s an interview that I did with GearforLife, an initiative of Wildcraft – India’s top adventure gear brand. An excerpt: “What are the 3 most important things in your life? 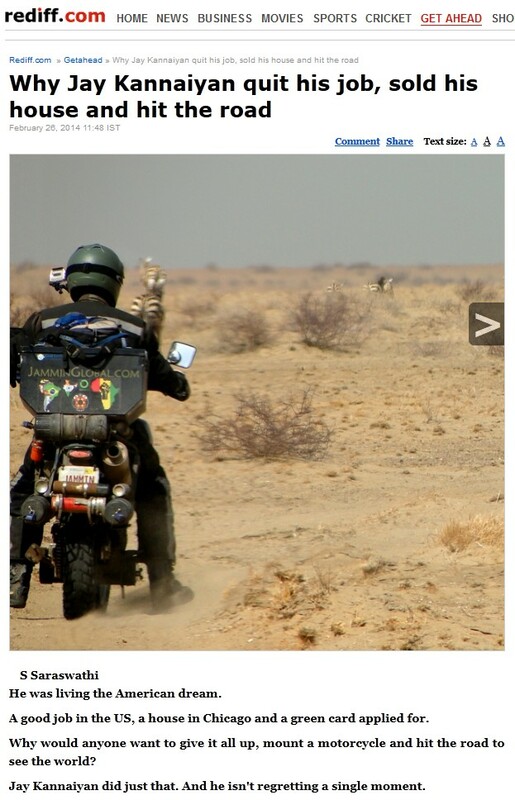 “Do you have any advice for all those aspiring motorcycle nomads?